(ENG) "Harun Farocki - O trabalho com as imagens". This is a retrospective of 12 films and two installations of one of the most respected and prolific German directors. Movies: From December 14 to 20, 2017 at the Cinema do Dragão (Rua Dragão do Mar, 81 - Praia de Iracema). Sessions at 7:00 p.m. and 8:30 p.m., except on the 15th, which will have sessions at 4:30 p.m. and 6:00 p.m. INstallations: From December 14 to 22, from 10 am to 6 pm, at Scene 15 (José Avelino Street, 495 - Praia de Iracema). There is no visitation on the 17th (Sunday). Tickets: All the programming has free admission. Film still. 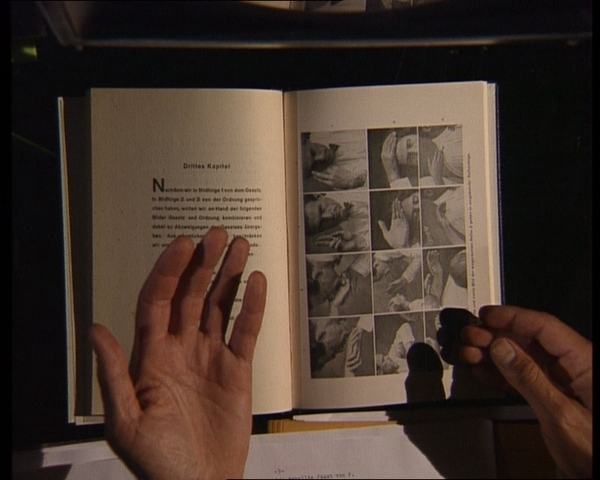 Harun Farocki,"The Expression of Hands", 1997.